It was the middle of the week, I was hanging with friends, and we wanted something different to eat. We googled food trucks and saw this one was set up at Lone Tree Brewing Company. 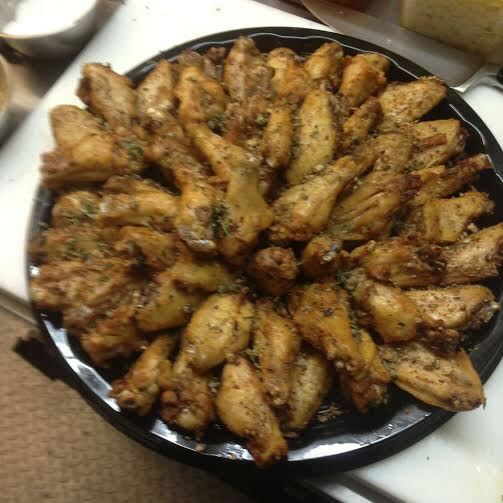 The smoked wings were some of the BEST wings I’ve ever tasted. Before the night was over we ended up ordering two more orders and a carry out for later. Coollivin.com had a chance to reach out to find out a little bit about the owner and the Street Frites story and we just want to share it with our readers. Coollivin: What made you decide the mobile food option was the way to go versus a restaurant? 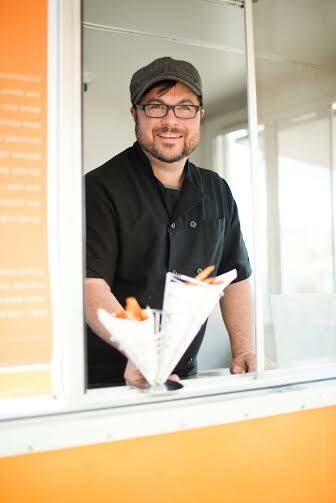 Street Frites: There were many reasons we decided to start a food truck vs a brick and mortar. 1) Liability There is a much larger risk involved starting a brick and mortar, i.e. larger staff, liquor licensing, high rent, etc. My Wife and I decided we would finance the truck ourselves with no outside investors or bank loans. To really do a restaurant the right way in the area of town we would want to open would cost at a minimum, 1,000,000.00 The end game for us is to have a fleet of trucks that would allow us to have the brick and mortar we want down the line. Coollivin: How did you come up with the name for your food truck? Street Frites: We tossed around a lot of names but Street Frites stuck, it’s simple, accessible and it rhymes. Coollivin: What experience do you want your patrons to have? Street Frites: My mantra throughout the whole process is “we say yes” to me, that means we will do whatever it takes to make our guest happy. If we have the product, ability and time, we will make their request happen. It’s about “over the top hospitality” anyone can enjoy food but, not everyone can make you feel special….that’s what I aim for. Coollivin: How did you come up with the concept/choices for your food truck? Street Frites: The inspiration for Street Frites began with a trip to New York City in 2011. Before Denver became home, Jessica lived and worked in Manhattan where she discovered a wonderful little snack shop in the West Village serving Pomme Frites served with a wild array of delicious sauces. My wife and I were certain we NEEDED to bring this goodness to Denver. Over the next 3 years that idea grew legs and became a thriving food truck operating on the streets of Denver. 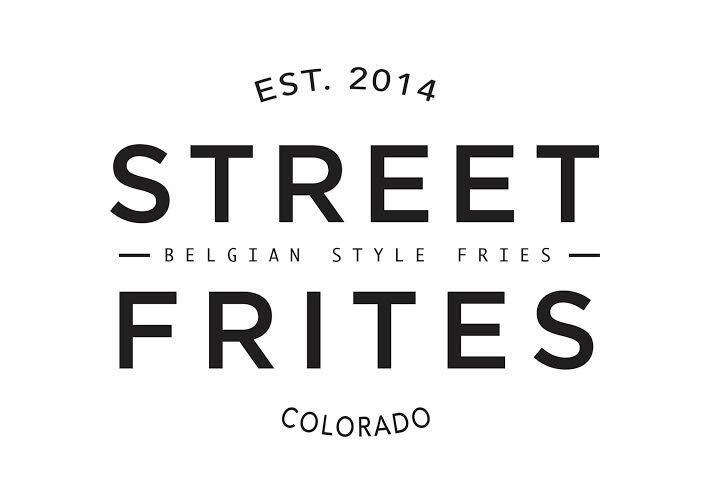 Street Frites Mobile Eatery has now positioned itself a favorite among the Denver Street Food scene. 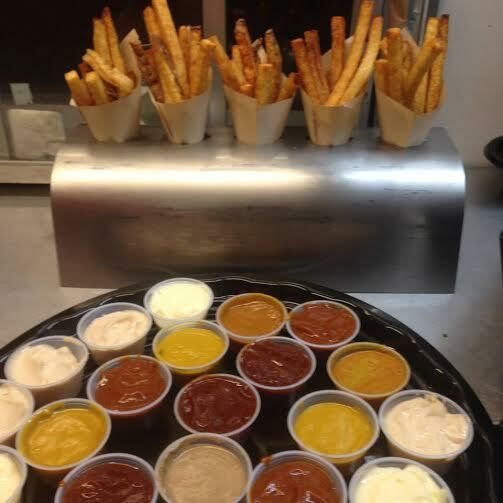 Coollivin: What is your vision for Street Frites? Street Frites: Our end game is to have a fleet of Food Trucks that will allow us to open a brick and mortar. But, until then I am hoping to increase our boutique catering and our wine dinner parties. Along with being the Chef of Street Frites I am also a certified Sommelier and I would like to continue to inspire the soul, educate the palate and indulge the senses. Coollivin: How long have you been in business? Coollivin: What’s your most popular dish? Street Frites: Our menu changes monthly so we have new faves every month……right now everyone love our 4 ANIMAL BURGER our FALAFEL PITA and THE STANDARD. Jason comes from a long line of entrepreneurs and Industry professionals. His father, a very successful business man, instilled in him the possibility to live out grand ideas. His grandfather was an owner and manager of various restaurants and is responsible for teaching Jason how to chop an onion, smoke meat to perfection and paved the road for Jason to understand the importance of turning your passion into your profession. With no professional culinary training, Jason was trained on the job, working alongside his grandfather starting at the young age of 8, and eventually becoming a Certified Sommelier and Wine Director. His love of fine wines and hospitality in combination with his seasoned palate has helped him create interesting flavors, textures and combinations with a desire to please. Street Frites began operation in the spring of 2014 with a very simple menu of Belgian Style Fries, 10 interesting sauces and frite platters called “Toppings” Over the first few months the menu began to expand with European style Bratwurst and Hickory smoked wings. Word began to spread slowly that a new specialty Food Truck was beginning to make culinary waves in the Mile High City. With that being said I hope you are as intrigued as I was about the Street Frite mobile food truck that has everyone talking. Check out their website to see when they will be near you; not finding any locations visit anyway I promise you it will be worth the trip!